The 10 Best Garden Centers and Nurseries in Montana! It’s hard to the fathom that natural beauty isn’t enough. But for dedicated homeowners, professional landscapers, and lifetime green-thumbs, that lily must be gilded. And rightfully so: Montana boasts a long list of quality nurseries and garden centers that serve to bolster, highlight and respect the preexisting beauty of Big Sky Country. Here are our favorites. The Caras name extends far into Missoulan history. The town’s first nursery dates to the late 19th century, with an immigrant family taking the reins in the 1920s. The friendly staff and dedication to responsible, sustainable and local horticulture, reinforces this nursery’s community-centric focus. If the impressive selection and affordable pricing aren’t enough, perhaps the locals can vouch: Missoula’s premier park bears the name of this family institution. This massive complex sits afoot signature Montana hills, a hybrid of Western-style garden center and uber-greenhouse. In the 1970s, the Hoopers began with a lone, humble structure and small collection of tools. Twenty-five years in, the nursery moved locations to accommodate a gigantic expansion, incorporating a larger shop and a total of 16 greenhouses. From seeds, sprouts and flowers, to bird feeders, tools and fertilizers, this Northwest Montana landmark is Mecca for the green-thumb. In 1955, on a humble piece of land in downtown, the Marchies built a small house & garage. A landscape and nursery business wasn’t far behind, later blossoming into the current local institution for native plants and seeds. Though now under new ownership, loyal employees have carried the mantle, providing expertise and stellar examples of Montanan flora. Come Christmas time, this garden center is a great stop for handmade wreaths and handsome, perfectly-triangular pine trees. This sleek and well-stocked garden center is basically brand new. But in its rather short tenure, the Garden Barn has established itself as a quality nursery, with unique offerings and the rare asset of being open year-round (not a given in Montana). The log building, accented in green and lined with bright flowers (at least in summer months) beckons, revealing a clean, organized shop opening to neat rows of shrubs, conifers, fruit trees, et al. If a business can please the demanding Bozeman populace, well versed in nature & the outdoors, and with money to spend, then much can be said for its product. For over four decades, this garden spot in Montana’s capital city has provided a cornucopia of perennials and ornamentals, and a wealth of local, area-specific shrubbery. In particular, Valley Farms has two unique emphases. First, it encourages alternative methods to gardening, focusing on organic and minimal invasion. Second, this nursery drives the point home via a number of courses to educate and guide. Sylvan started as strictly a Christmas Tree farm. Business was good, but folks wanted summertime greenery. A few more acres and a lot more trees later, this garden spot has blossomed into garden center. There’s a plethora here: annuals and perennials, indoor and outdoor, ornamentals and ripe vegetables. And the bonus, beyond the high-quality strains, is the friendly and informative staff, still exuding the family-run vibe instilled by the nursery’s forebears. This family-run complex has been a Northwest Montana gardening destination for over 30 years. The huge establishment boasts 11 greenhouses, a one-acre tree farm, and a 3,000-square-foot shop. Plant Land’s success isn’t just a result of attention to detail and an appreciation for quality, eco-friendly landscaping. It’s family-centric cornerstones ensure staff aren’t only passionate and informative, but more importantly, they actually care about what they’re doing. And they’ll ensure one’s green project, however extensive, will be a success. Hamilton is a beautiful medium-small town along the Bitterroot Mountains. It connects Salmon, Idaho with Missoula, and remains a garden spot in an otherwise rugged expanse. Though small, this nursery has two great assets: its menu and local knowledge ensure a plant that will thrive and beautify, and it’s intimate, rural setting make for personalized attention from a staff happy to share their experience. Family-owned and operated, Four Seasons is an excellent nursery for Montana-hardened trees and shrubs. This establishment caters towards heartier-but-beautiful, cold-weather friendly specimens ideal for the landscaper, the homeowner needing a centerpiece, or those seeking to build wind breaks and the like. Though somewhat of a narrow market (large scale trees & shrubs) this nursery is ideal for affordable, low-maintenance pieces that can withstand the rigors of the inland Northwest climate. Glacier caters towards the large-scale. 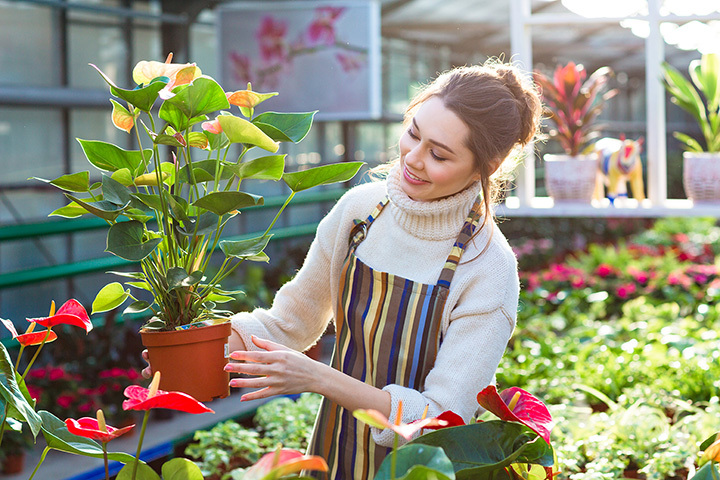 They supply an assortment of greenery to other nurseries, businesses and landscaping firms. As such, this garden spot isn’t for the first timer or one-tree project. But their incomparable catalog and sheer volume are worth a serious visit. And if some of the best nurseries in the state purchase from Glacier, something must be going right.